Each year, the Kresge Eminent Artist Award recognizes a metropolitan Detroit artist whose work and career exemplify sustained, outstanding achievement and a commitment to sharing that work with the local community. In what is a quintessential Detroit story, David DiChiera has worked tenaciously for decades, against all odds, to make Detroit a hub for opera, dance and musical theater. 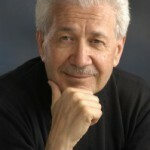 It is due to his unwavering dedication to Detroit and his outstanding work as an opera composer and artistic director that Kresge Arts in Detroit is proud to name David DiChiera the Kresge Eminent Artist for 2013. In his accomplished and diverse career, David has been a regional and international force committed to making opera more available and accessible to a wider audience. Notably, he founded both the Michigan Opera Theatre and Opera Pacific and has served as artistic Director of the Dayton Opera Association and as President of Opera America. In addition to his work as music director at Michigan Opera Theatre, David is a prolific composer: among his most critically-acclaimed works is the full-length opera Cyrano, composed in 2007. David is renowned for his commitment to Detroit, for nurturing African-American artists in the field, for fostering collaborations with other organizations, and for supporting the composition and production of new operas that reflect the communities in which they are performed. David has always felt strongly that having an opera house in Detroit could help revitalize the city, and we honor him for his pioneering leadership and artistic vision. Our sincere thanks to the Kresge Arts in Detroit Advisory Council for selecting David from a number of very talented nominees. Kresge Arts in Detroit recognizes that artists are a critical force in the revitalization of our region – David’s sustained accomplishments and care for the cultural life of our city make him a community treasure, and eminent indeed.